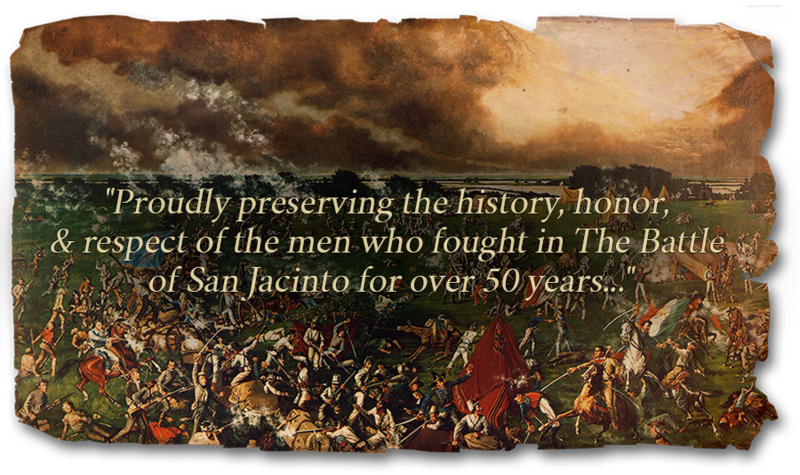 The San Jacinto Descendants was founded in 1965 by a group of lineal descendants of the heroes who fought at the Battle of San Jacinto under General Sam Houston on April 21, 1836 as well as those who were in the baggage train at Harrisburg, handing out supplies and tending the wounded. Fostering the preservation of documents and relics. and hangs in the Senate Chamber in the Texas Capitol. The Battle of San Jacinto, fought on April 21, 1836, in present-day Harris County, Texas, was the decisive battle of the Texas Revolution. Led by General Sam Houston, the Texas Army engaged and defeated General Antonio López de Santa Anna’s Mexican forces in a fight that lasted less than twenty minutes. Hundreds of Mexican soldiers were killed or captured, while there were relatively few Texan casualties. Santa Anna, the President of Mexico, was captured the following day and held as a prisoner of war. Not long afterwards, he signed the peace treaties that dictated that the Mexican army leave the region, paving the way for the Republic of Texas to become an independent country. These treaties did not specifically recognize Texas as a sovereign nation but stipulated that Santa Anna was to lobby for such recognition in Mexico City. Sam Houston became a national celebrity, and the Texans’ rallying cry, “Remember Goliad!” and “Remember the Alamo!,” became etched into the American history and legend. The San Jacinto Descendants are proud to closely consult with the San Jacinto Museum of History. 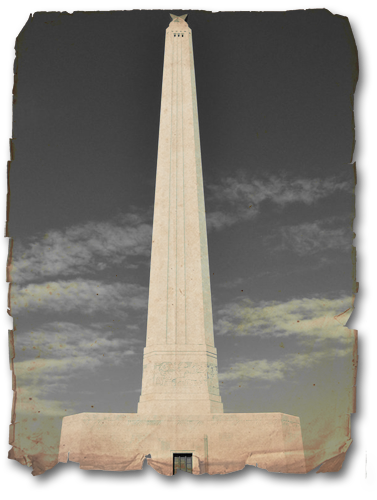 Join us at the Monument each and every year on April 21st as we celebrate San Jacinto Day! The San Jacinto Museum of History is housed in the base of the San Jacinto Monument. The Museum is operated by the San Jacinto Museum of History Association — a non-profit organization — in association with the Texas State Parks and Wildlife Commission. More than just a gateway to a great view, the Museum is your gateway to Texas culture! 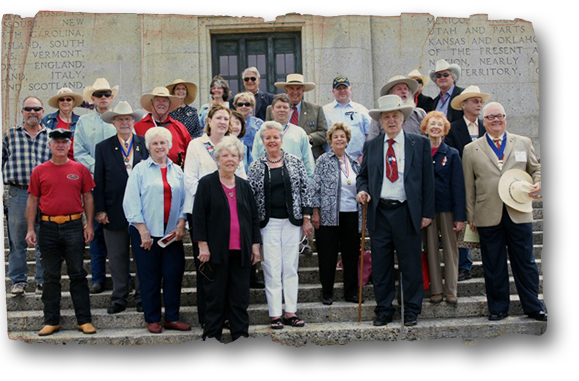 It was established not only to honor those who fought here in 1836, but also to re-visualize the history of Texas and the Spanish Southwest. It was created as a steward of history, and to promote friendship between Texas, Mexico, Spain, France and Latin America.